I mean, after seeing this picture, I think I'm eating eggs and then maybe a little jello dessert. Maybe a bit of seafood. 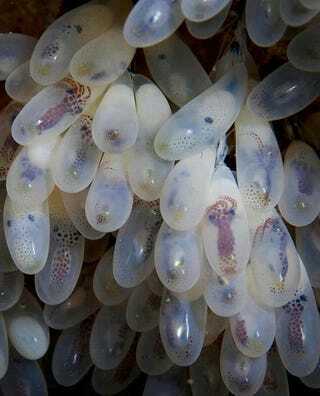 Those are tiny octopi in their eggs.